With over 100 illustrations and two complete designs that can be built, this new book presents a milestone in usable, practical, vastu information. 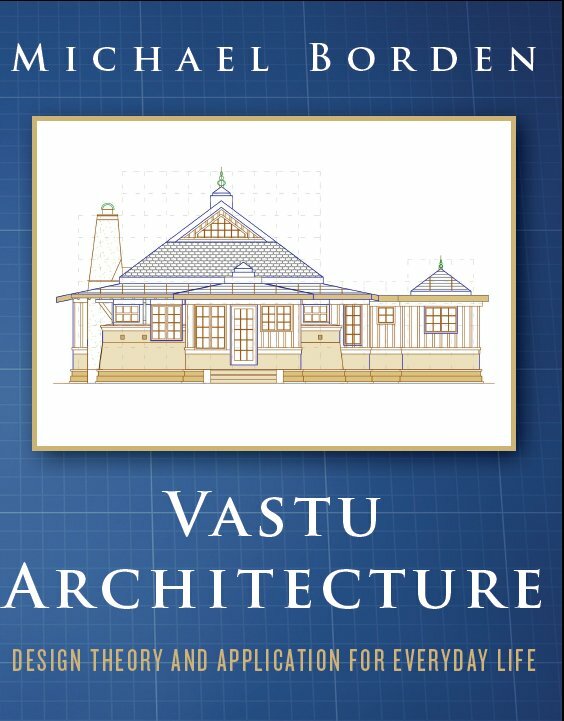 The purpose of this book is to outline simply and clearly the technological and philosophical principles of Vastu science as applied to buildings for secular functions: houses, office, hospitals, clinics. 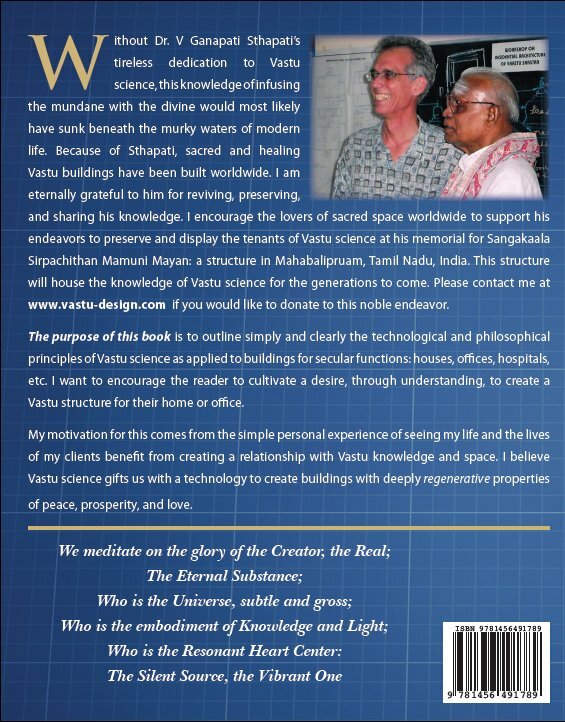 Michael Borden's goal is to encourage the reader to cultivate a desire, through understanding, to create Vastu structures for their home or office. His motivation comes from his personal experience of seeing his life and the lives of his clients benefit from creating a relationship with Vastu knowledge and space. I have been studying Vastu for about six years, even taking some online courses. But it was your book and your plans that inspired me. Your book is well worn; there are probably thirty little 'sticky notes' marking reference pages and ideas and so forth. It is a wonderful work. Please click here to also notify me via email directly when you purchase a book! Thank you! USA: Buy direct from Vastuved with 10% discount for $31.50 + $7 shipping . . . . . . .
Canada: Buy direct from Vastuved with 10% discount for $31.50 + $14 shipping . . . .